Today we are going to be discussing more about the AARP Life Insurance Company. Have you ever heard of this company? If you have not, then it is about time for you to learn more about it. AARP has a slogan that says “Real Possibilities” and that is what they provide to their customers. AARP is a nonprofit, nonpartisan, social welfare organization with a membership of nearly 38 million that are eager to help turn the goals and dreams of other people into… Real Possibilities. They also take part in strengthening the communities and fights for issues that matter to most families. Examples of issues are those related to health care, employment, and even income security and protection from financial abuse. AARP is a company that cares. This image is taken from AARP’s website. 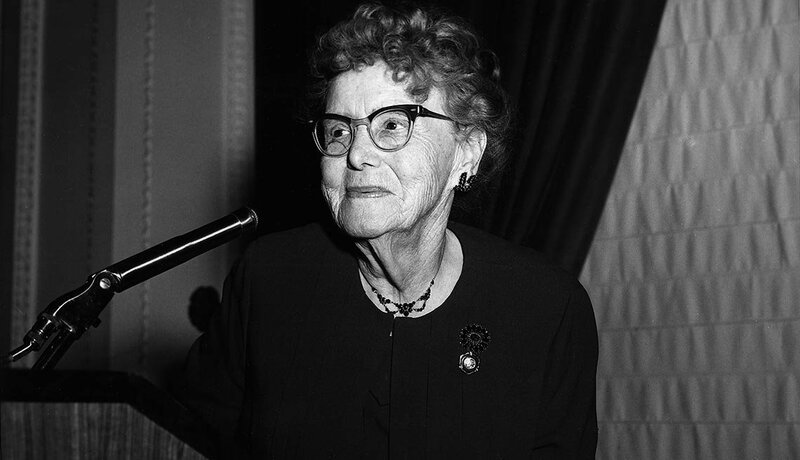 This is a photo of Dr. Ethel Percy Andrus, AARP’s beloved founder. She was a retired high school principal who founded the company in the year 1958. The first company she founded was called the National Retired Teachers Association or NRTA for short and it was from this association that AARP evolved from. The purpose of Dr. Andrus for establishing the NRTA was to promote her philosophy of productive aging and in response to the need of retired teachers’ health insurance. You see at that time, private health insurance was unavailable to older Americans. The provision of health insurance coverage for people over the age of 65 years only began in the year 1965 when the government launched Medicare. It was a program responsible for giving health insurance to people over the age of 65 years. NRTA became a success! Thousands of people sent messages to the company inquiring about how to obtain an insurance and other NRTA benefits without being retired teachers. It was only after ten years passes that Dr. Andrus realized that the time had come to develop a new organization that would cater to all Americans, and that was how AARP was born. However, NRTA didn’t completely disappear, instead it became a division within the AARP. Dr. Andrus didn’t stop there however. In the year 1963, she moved on to another project by establishing an international presence for AARP which she called as the Association for Retired Persons International or ARPI for short. ARPI was a success and she was able to put up offices in Lausanne, Switzerland and Washington, D.C. Sadly though, ARPI disbanded in the year 1969. It didn’t last long. AARP was still standing strong though. The company had continued to develop networks and form coalitions within the worldwide aging community, promoting the well-being of older persons internationally by making use of advocacy, education, and service. Encouraging older people to serve instead of being served. If you want more information, don’t shy away from browsing our website Best Insurance Deals! There’s more to talk about AARP so subscribe to us so you won’t miss it! If you have questions, feel free to drop them below in the comment section! Have a great day!